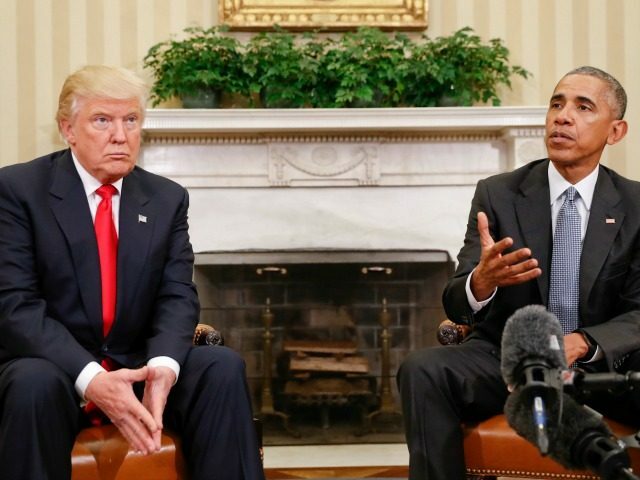 President-elect Donald Trump is back on Twitter to respond to President Obama’s recent statements during a podcast, which suggested he would have won the election against Trump. “Doing my best to disregard the many inflammatory President O statements and roadblocks.Thought it was going to be a smooth transition – NOT!” Trump posted on Twitter on Wednesday morning. “I am confident in this vision because I’m confident that if I had run again and articulated it, I think I could’ve mobilized a majority of the American people to rally behind it,” Obama previously stated during a CNN podcast to David Axelrod. Trump also sent out a tweet roughly 10 minutes later defending Israel following the UN Security Council’s recent vote.